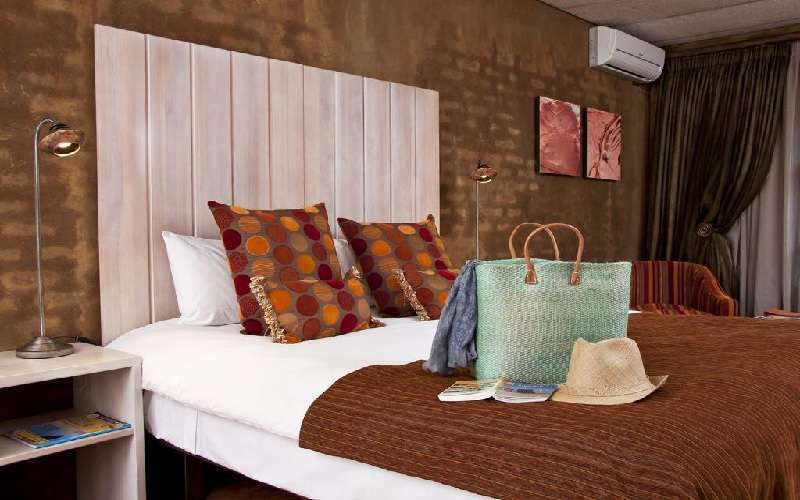 The African Rock Hotel is an exclusive, luxurious retreat, just a little over 10km from Johannesburg's OR Tambo International Airport. 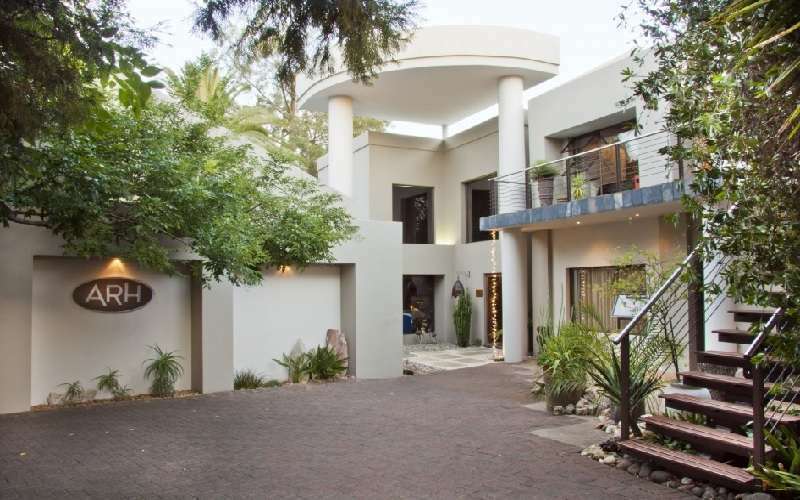 Although it is ideally situated for the convenience and easy access of guests from around the world, this opulent getaway guarantees peace and relaxation for its esteemed guests. 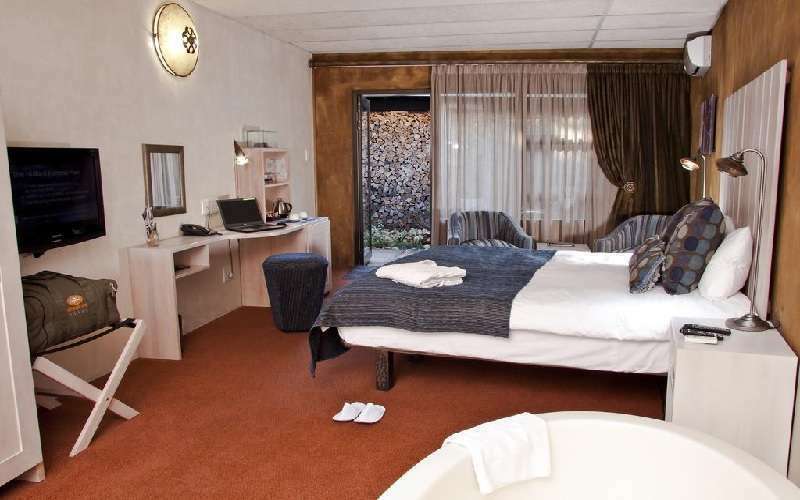 Within easy accessibility to and from the airport, the city of Johannesburg, Sandton and Pretoria, African Rock Hotel exudes a sense of complete isolation. 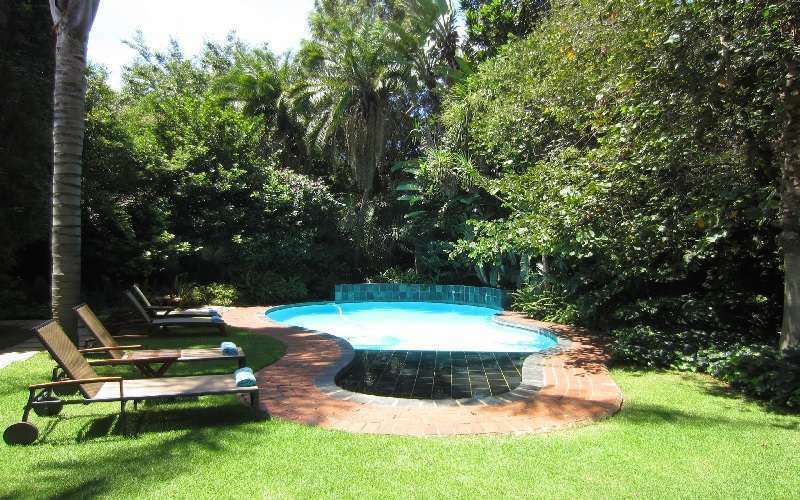 The swimming pool is nestled within a lush, green garden. The spacious patio area is an inviting venue on which to read, sip on a refreshment or simply admire the natural surrounds. 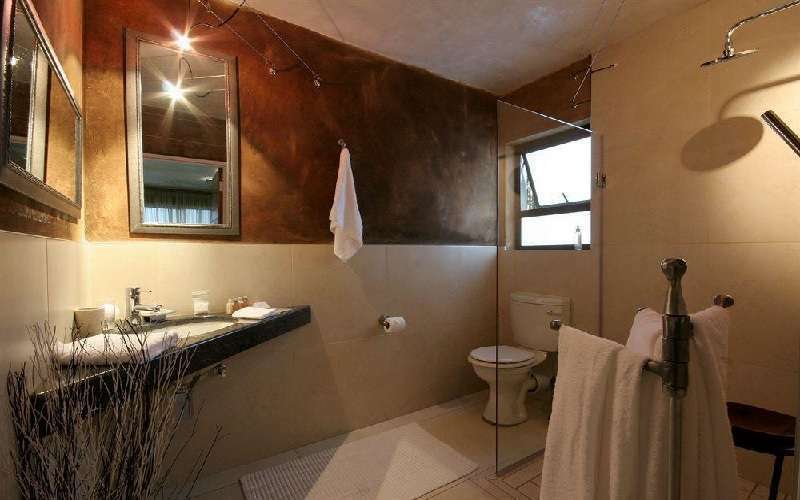 The décor of African Rock Hotel is stylish, yet somewhat eclectic. African colours and textures are complemented by Oriental and Western influences to create an inviting, hospitable and trendy ambience. 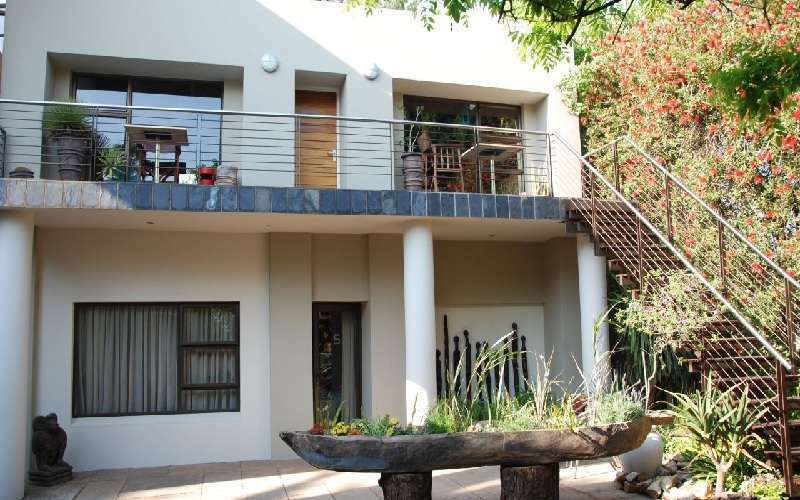 There are 9 double bedrooms (with 1 king-size bed or 2 twin beds).Each has an en-suite bathroom, air-conditioning, work desk, lounge chairs, hair dryer, tea / coffee station, mini bar, TV with satellite, Internet connectivity and telephone (direct-dial). Guests of the African Rock Hotel enjoy 24-hour room service, a shuttle bus, tours booking office and several health and beauty treatments. 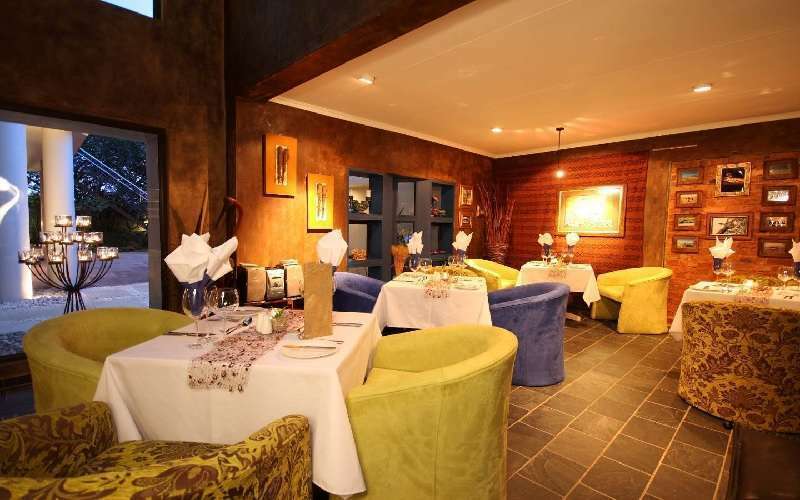 The dining area and bar promise the ideal venue to relax, sip on fine South African wines (as well as other spirits and ales) and savour excellent cuisine. The outdoor pool and patio showcase the gorgeous garden, while the safe parking and 24-hour security services ensure that guests feel safe and comfortable. 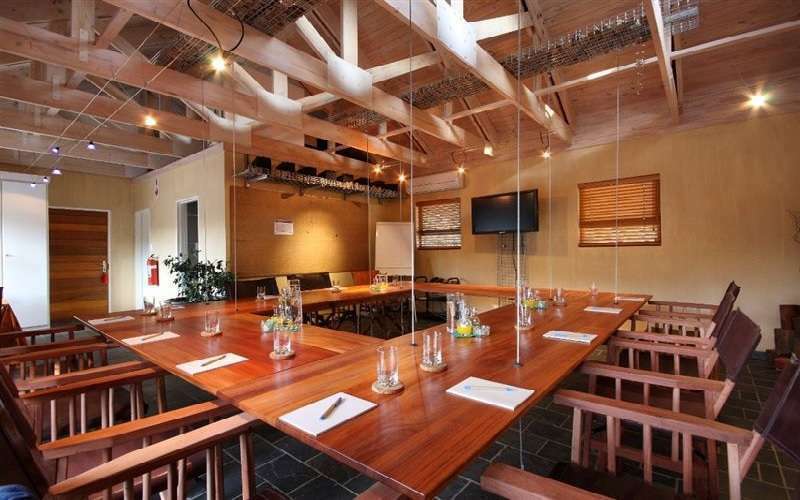 Corporate guests are well accommodated in the boardroom, which can accommodate up to 20 delegates. 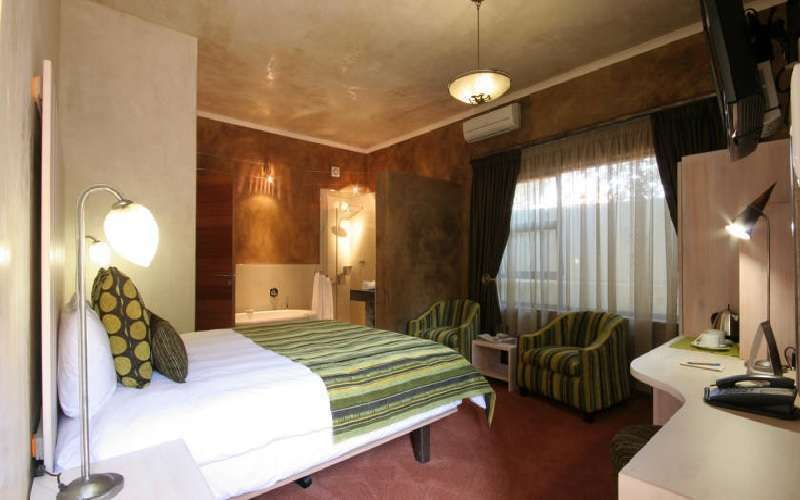 There are relaxation packages offered at African Rock Hotel that are designed for the ultimate relaxation and peace-of-mind of each valued guest. The qualified staff members will conduct professional treatments within the comfort of the guest's private suite.